BBQ REVOLUTION is dedicated to bringing you the best in plant based BBQ. We believe that BBQ doesn't equal meat and it can be better when there is no cruelty involved. 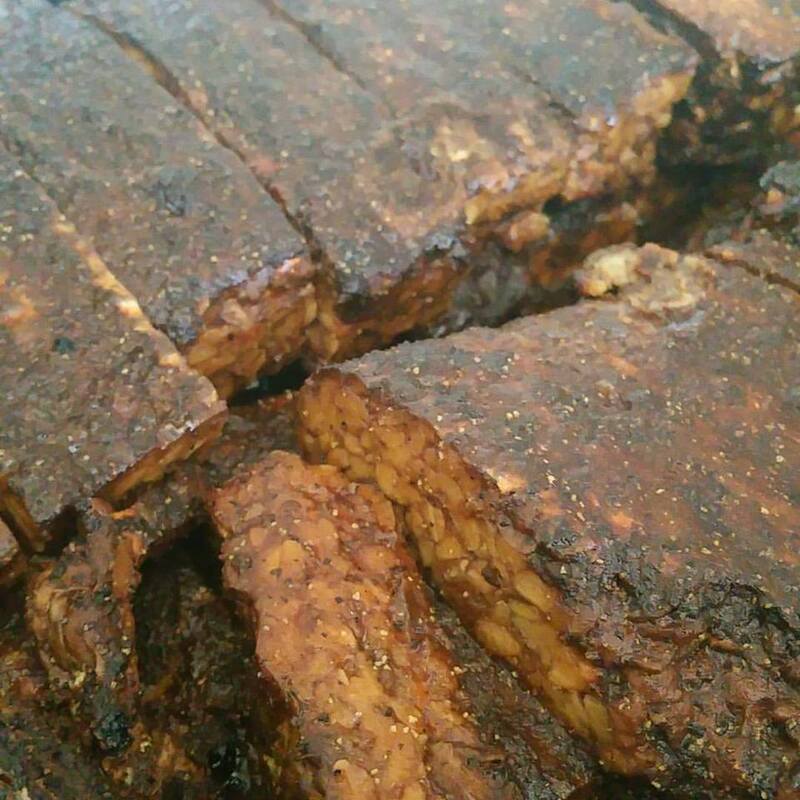 Using traditional techniques, we are able to bring out a flavor that no other vegan places have been able to replicate. We use as many local ingredients as we can and love to collaborate with other vegan companies around town. We are a locally owned and operated small business, please check our social media for the most up to date hours as we do sell out on some days before the posted closing time listed on our website. We may occasionally sell out early. Please check us out on social media for the most up to date hours for the day. Made with local organic tempeh from The Flying Tempeh Brothers. Gluten Free. Made with soy curls. Gluten Free. Smokey Tempeh ribs slathered in barbecue sauce and topped with slivered onions and tart pickles, all on a hoagie style bun. Make it a combo and add a side for only two dollars more. Includes one of every protein and side served with sliced white bread, pickles, and onions. We do catering for all types of events. If you are looking for the best way to have your event catered look no further! All Proteins are $15 a pound and feed about 3-5 people. All sides are $7 a pound and feed about 3-5 people. Utensils/paper plates/napkins can be purchased for extra. While we are able to deliver all catering orders, we suggest pick up on smaller catering orders. All catering orders must be placed through bbqrevolutiontx@gmail.com and paid for within 24 hours of placing the order or we will cancel the order. Sorry, but this makes sure everyone gets what they want and with little confusion. Additionally all pick up orders must be picked up within 1 hour of pick up time or the order will be donated without refund.